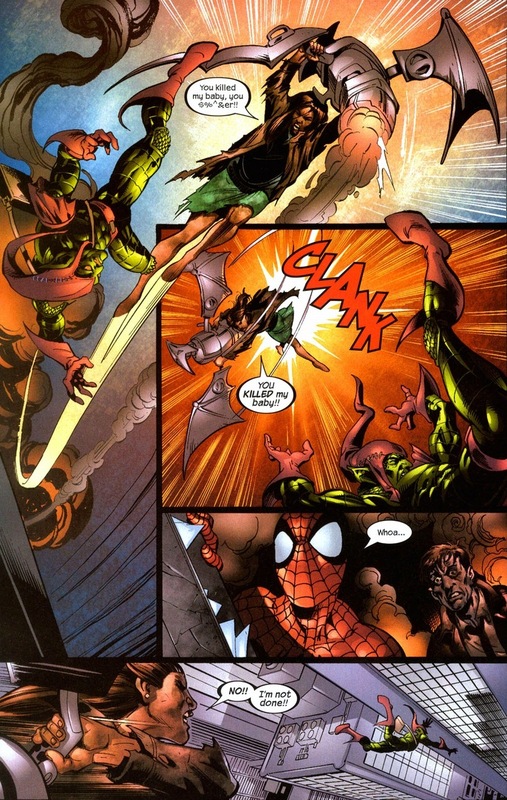 While we’re on the subject of Norman Osborn (the Green Goblin) from yesterday’s article, we might as well read about some more of his misdeeds. Though, the Cages take center stage today. 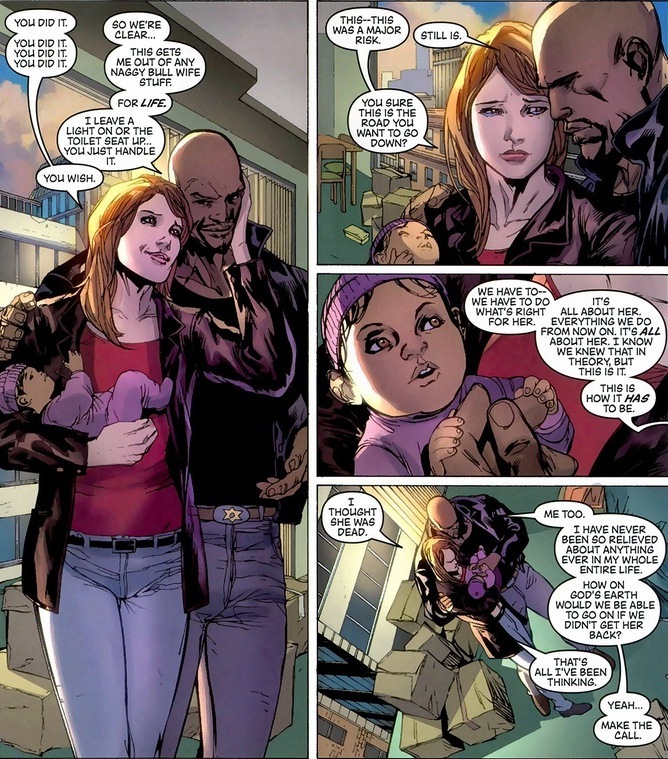 I’d like to get into the backstory and history of Luke Cage, his wife Jessica Jones, and their daughter Danielle — mainly to increase word count — but I’ve already covered it in a previous article. Instead we can jump straight into the meat of two select Cage family stories. 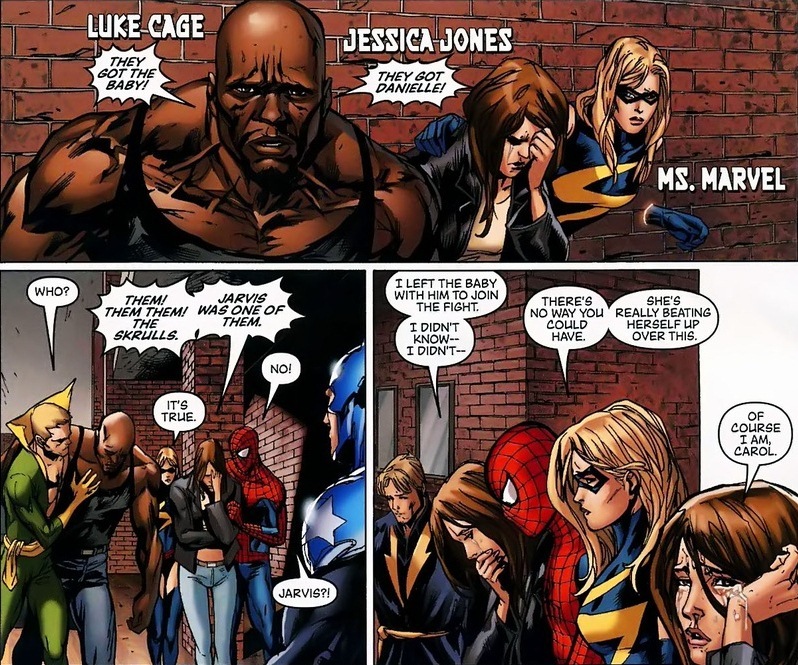 Fun fact: Spider-Man and Jessica Jones went to high school together. She had a big crush on Peter Parker, though it’s safe to say that as she got older, her taste in men changed dramatically. 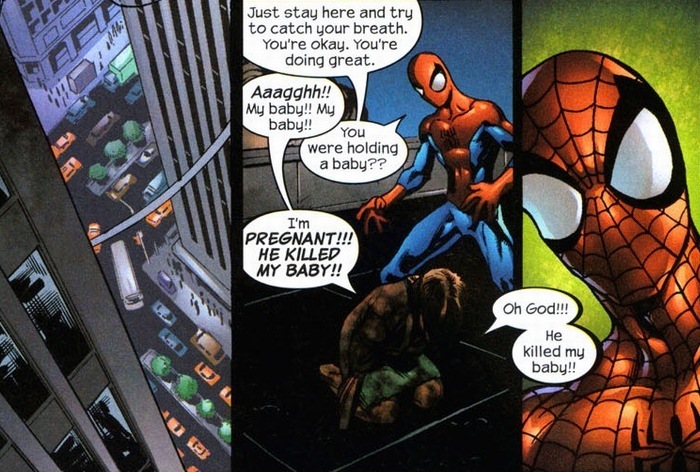 Oh, and Norman Osborn just exploded her out a building and killed her baby. She reacts accordingly. I’ve had enough sad stories for this week (one?). Don’t worry, being a superhero comes with a superwomb. Jessica Jones got lucky. Not with the tough baby, but with her choice in boyfriends. 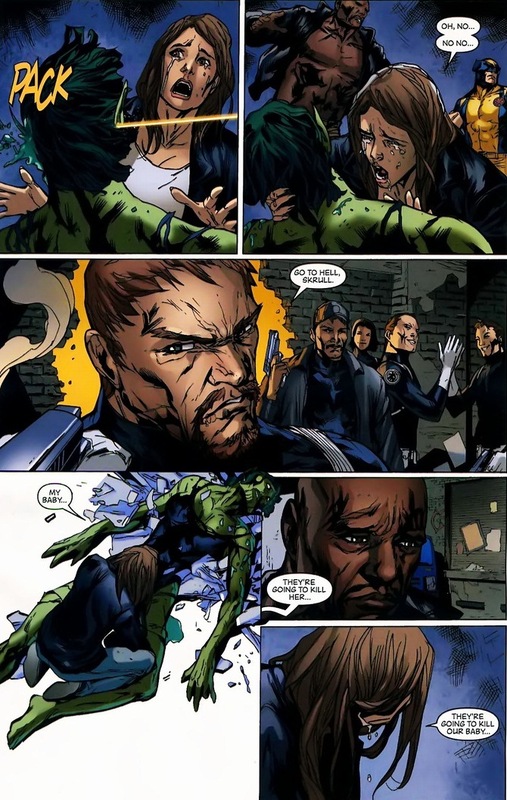 Because the moment baddies mess with her, they now have to deal with the giant, angry, super strong and (I guess) super virile Luke Cage. 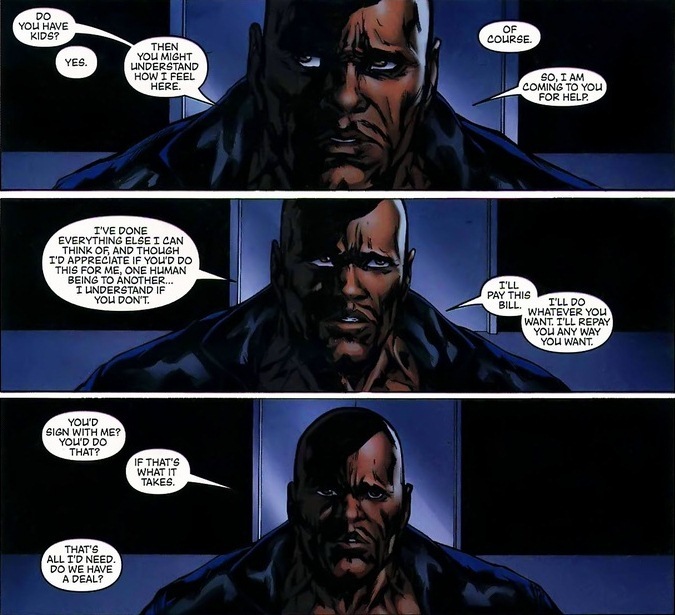 For good measure, here’s a creepy, sadistic Osborn tirade beforehand. Only one problem. 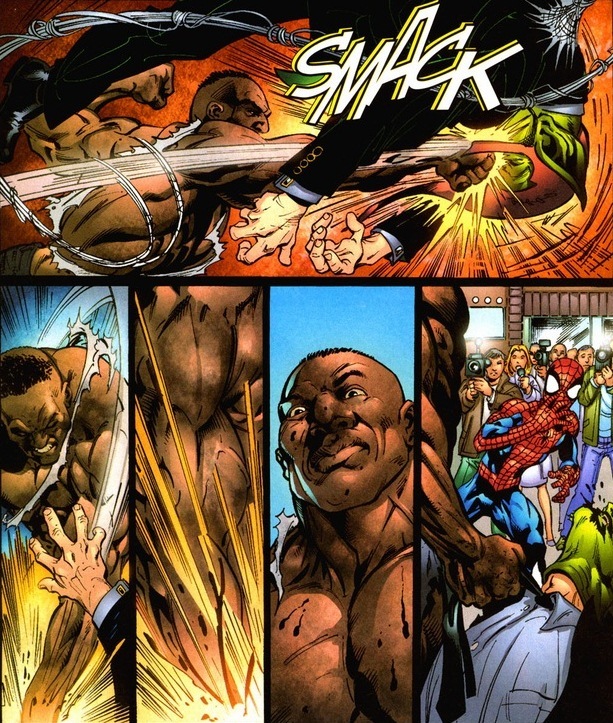 Osborn’s a psychopathic supervillain and Luke Cage just picked a fight with him in the middle of a very public crowd. One of the two doesn’t care about civilian casualties. Can you guess who? Avenging complete! As delightful as any superhero story is when the supervillain gets exactly what they deserve, why bother showing you this specific story? 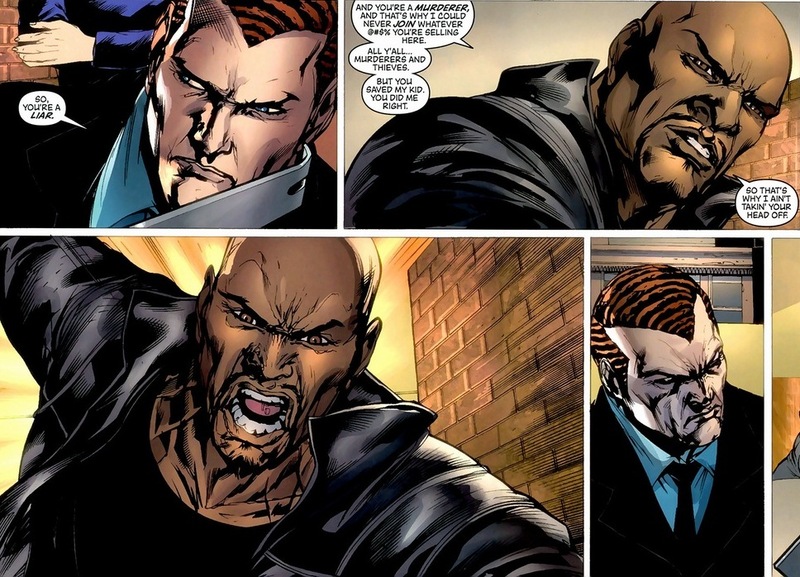 My dear reader, Luke Cage and Osborn have a fairly tumultuous relationship, and you’ve just witnessed the beginning. 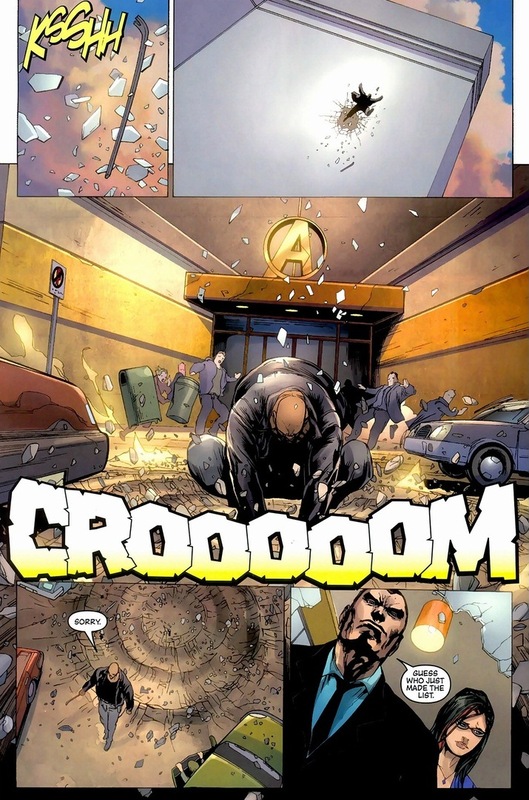 We jump ahead a few years to the very end of Marvel’s Secret Invasion event. 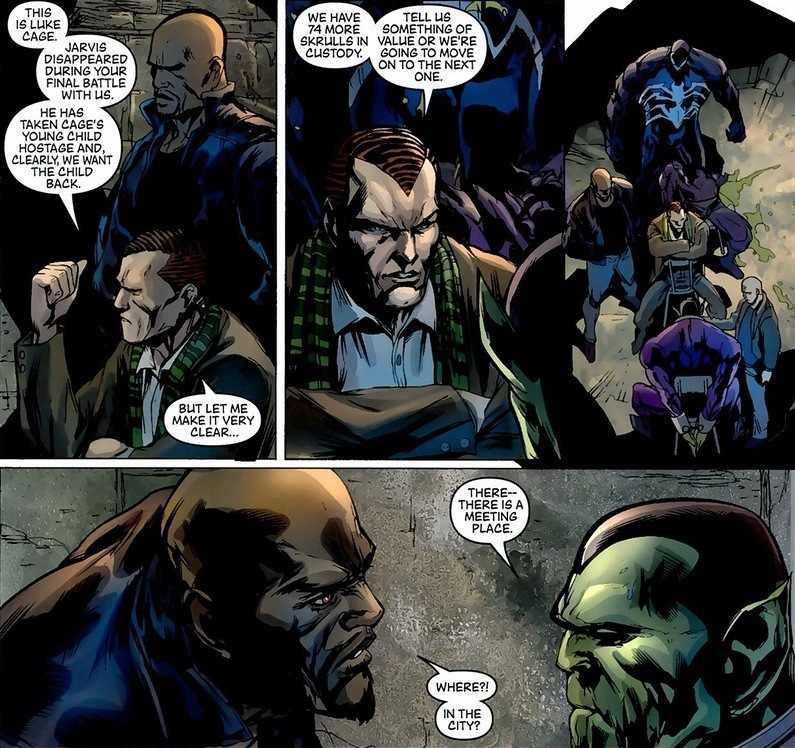 The shapeshifting aliens Skrulls have been defeated and Osborn turned out to be the hero that saved Earth. Good for him. Though, a final loose end to wrap up. 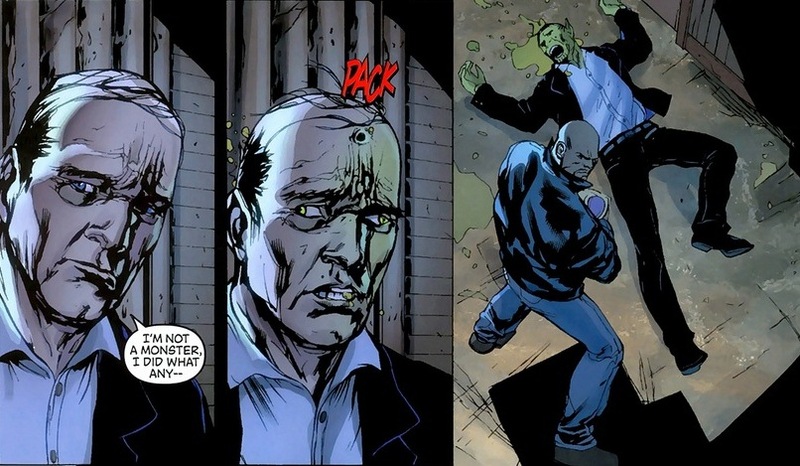 Jarvis, the butler of the Avengers and Marvel’s Alfred, happened to be a Skrull secretly portraying him. He also kidnapped the couple’s infant child. 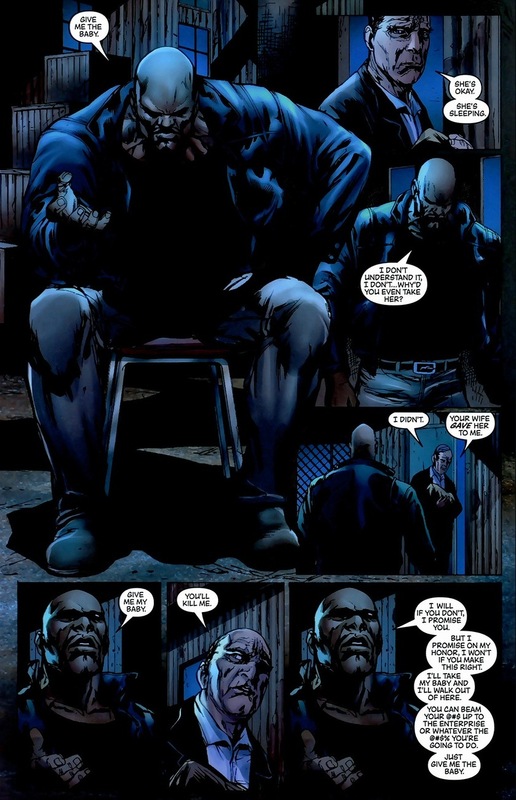 We follow along with the events of the New Avengers #48-49, written by Brian Michael Bendis and drawn by Billy Tan. 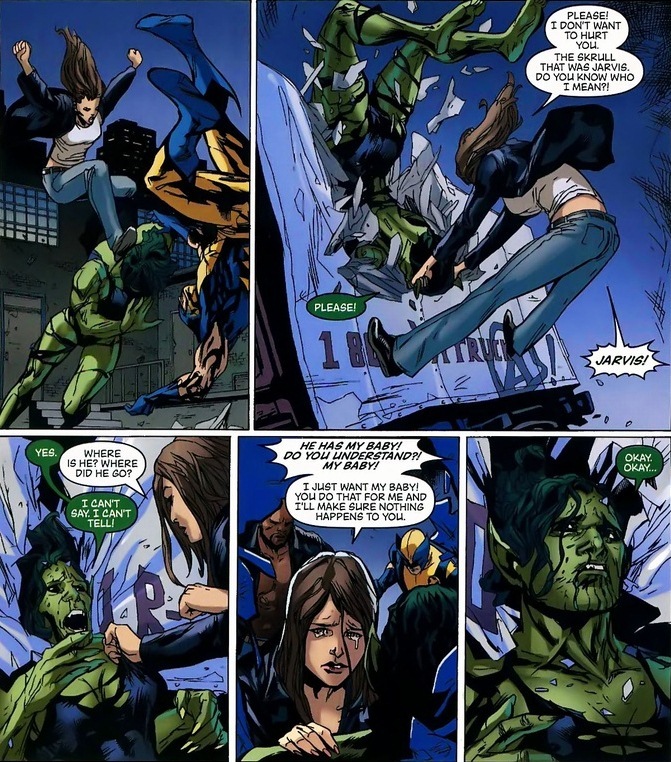 After a dozen pages of calling in favors and frantic searching, Jessica Jones stumbles upon (clobbers) a lead. Of course, like any good action movie, what’s a plot without a few complications? 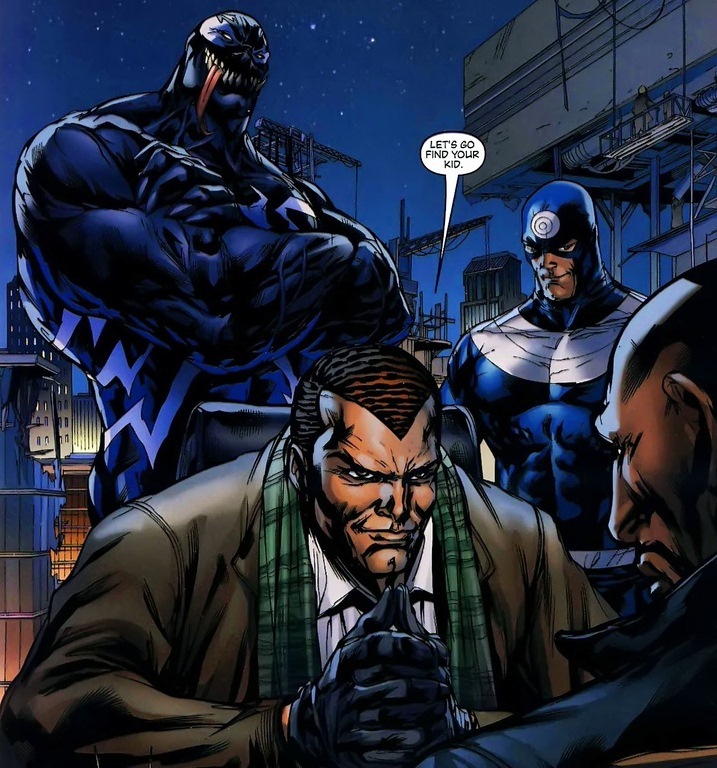 In this case, trigger happy SHIELD jerks, the henchmen of the good guys. 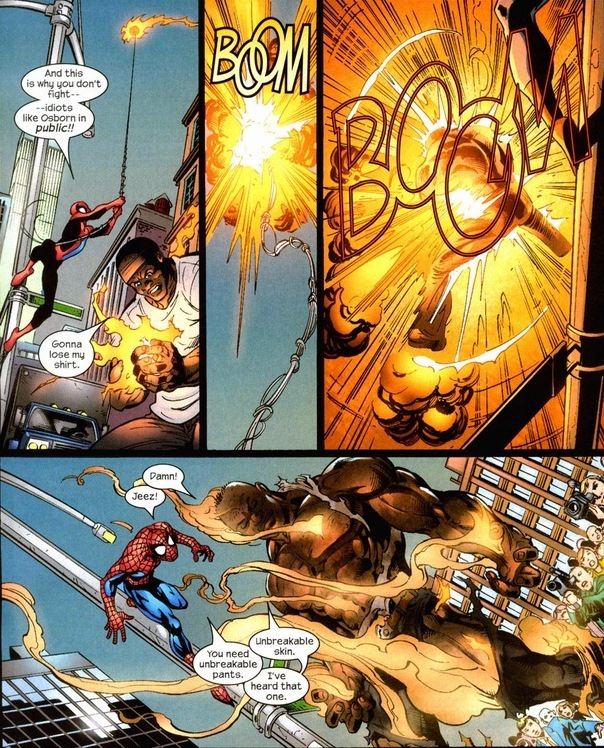 Luke Cage, being a good father and realizing the Avengers are out of options, desperately turns to the only possible person who could help him. You know who it is. 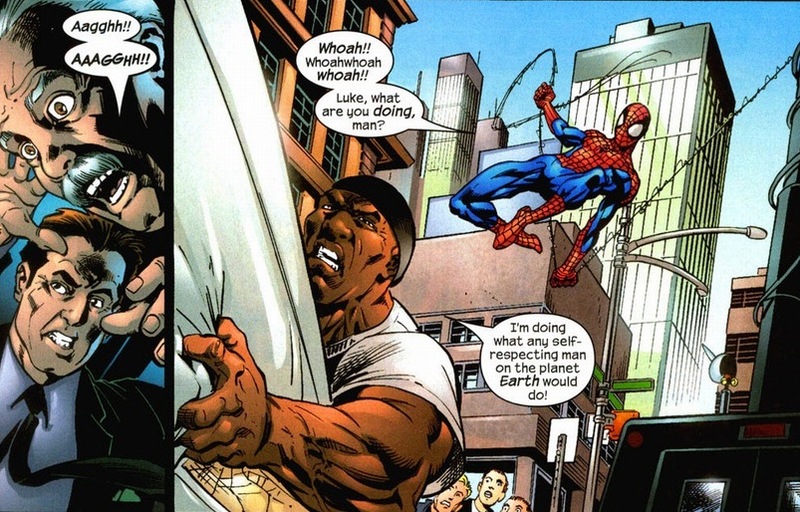 Hint: Spider-Man punches him in the face like once a year. 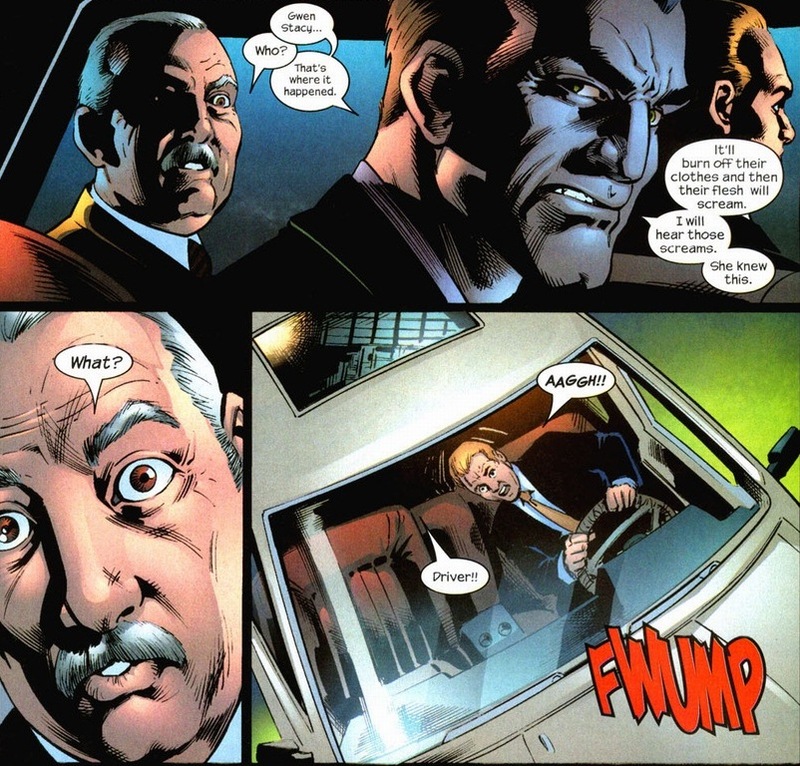 But why Osborn, you ask? 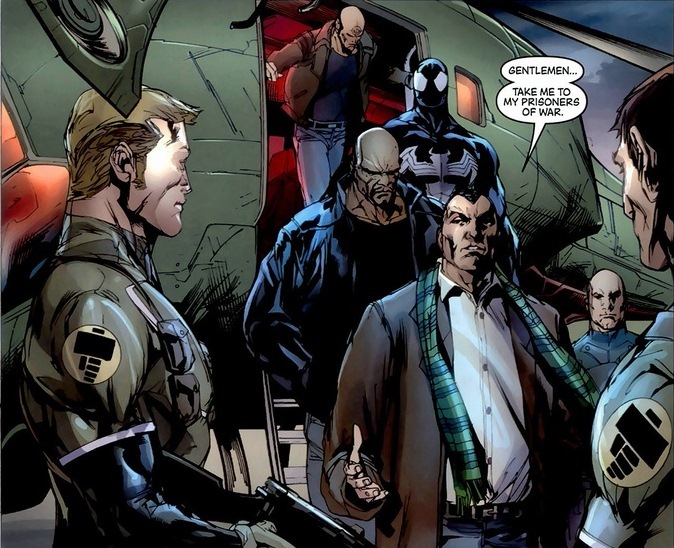 Because with the Superhuman Registration Act still in place (and the Avengers unregistered and in hiding) added to Osborn’s new promotion to America’s top cop, he has the resources beyond beating up a few thugs at grimy bars. 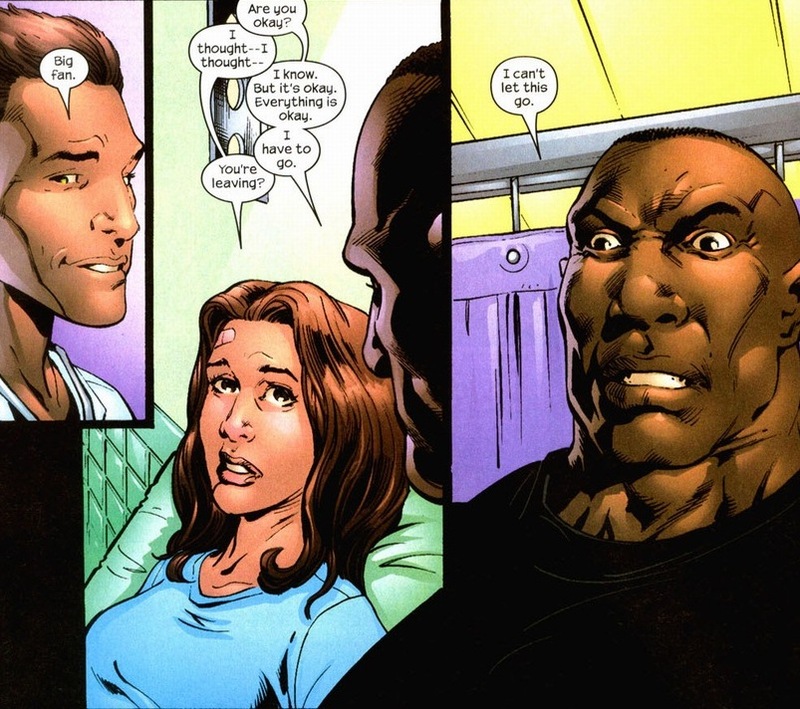 Though clearly the man reeks of evil and will make Luke Cage do horrible immoral stuff when he joins Osborn’s team. Unfortunate sacrifice. 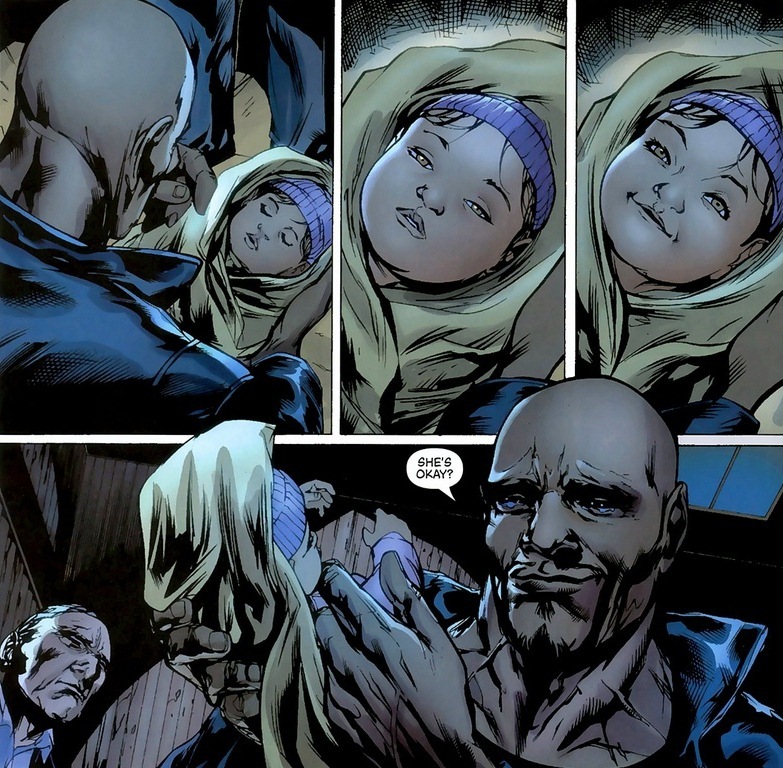 Y’see, despite the Skrull kidnapping his baby and sending every superhero in New York into a state of extreme panic for several days, Luke Cage’s still very much willing to let the alien go free as long as the baby’s okay. 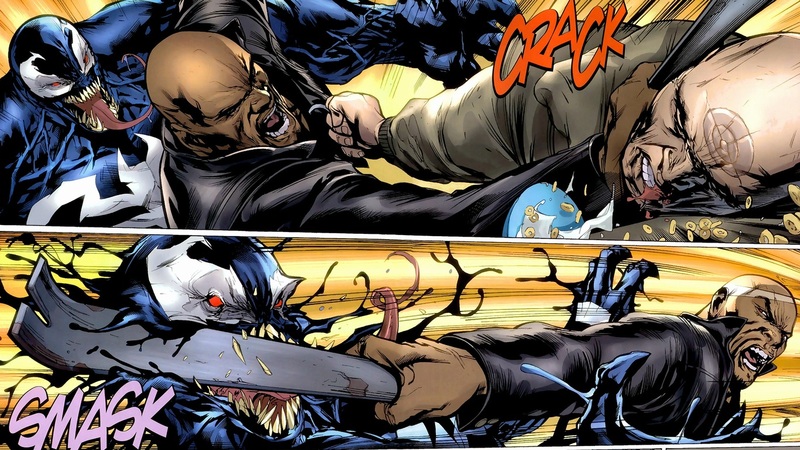 But you know those pesky supervillains, they don’t play nice. 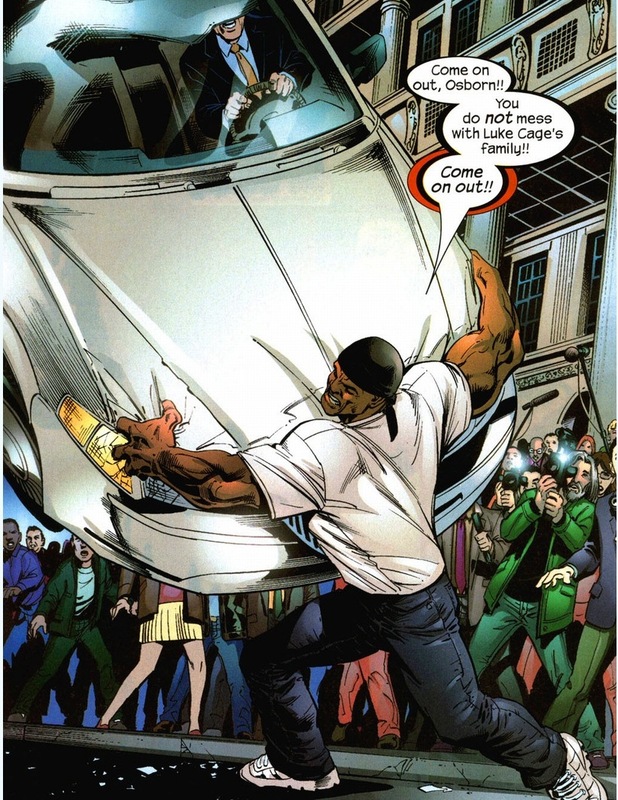 Luckily, Luke Cage has no worries bending some rules of his own. Though not yet. Hard to argue being a superhero parent is easy. Still, with a mother whose insecurity is only matched by her self-loathing and a father that struggles daily with daily bouts of immaturity and a fiery temper, they’re doing pretty well. Right?